Well, we have completed the circuit and have now swam in the Red Sea (while in Eilat), the Mediterranean Sea (while in Ceasarea), and now the Dead Sea!! I’ll float that story by you in a few moments….let’s go in chronological order. 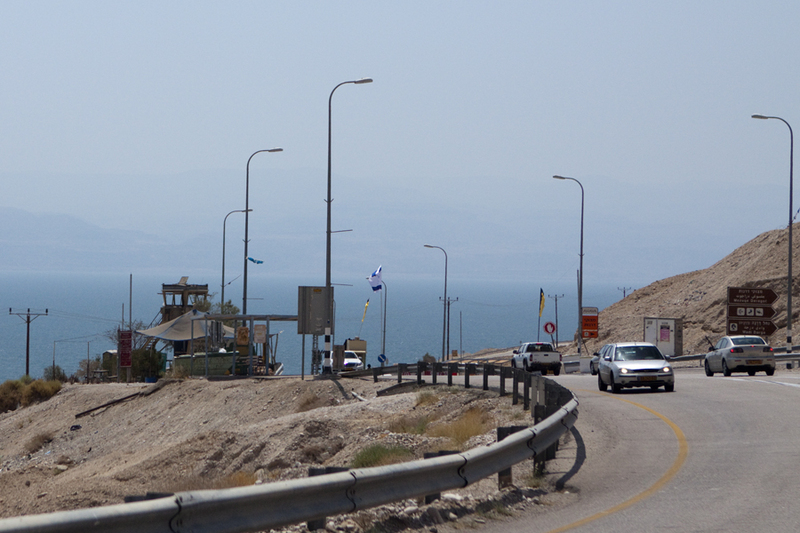 We left Jerusalem today to drive to an Oasis called En Gedy, Mount Masada, and the Dead Sea. Each amazing in their own respects. En Gedy is truly an oasis in the Judean desert. 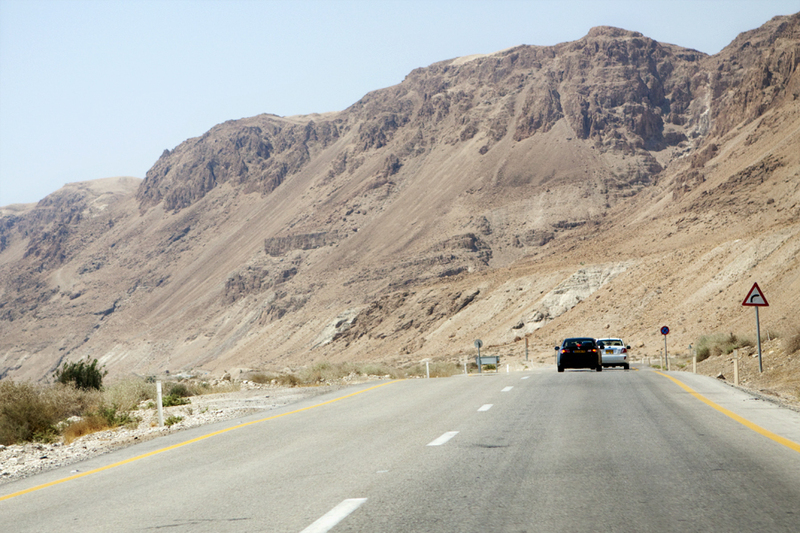 About an hour and a half from Jerusalem, there is a sign for the oasis and a long, narrow road to the entrance of the National Park. 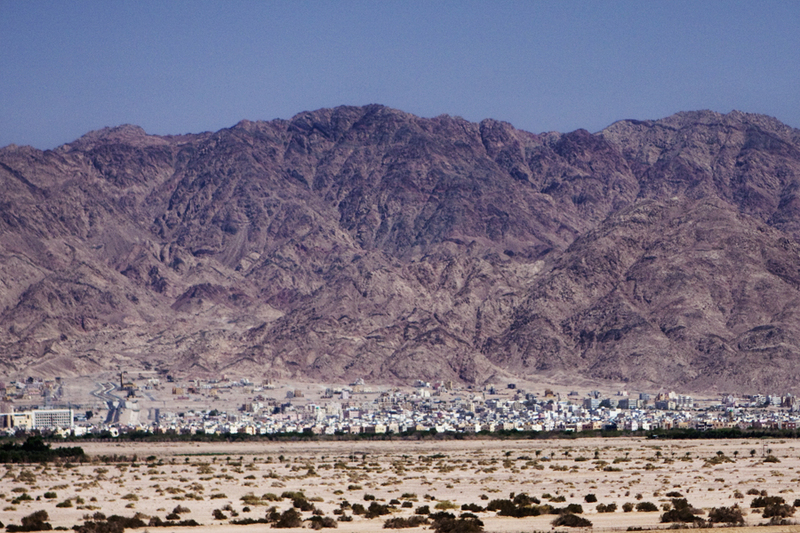 From there, there is a short but steep and HOT hike into the desert mountains. After about 1o minutes walking, the vegetation along the path is clearly indicative of water. 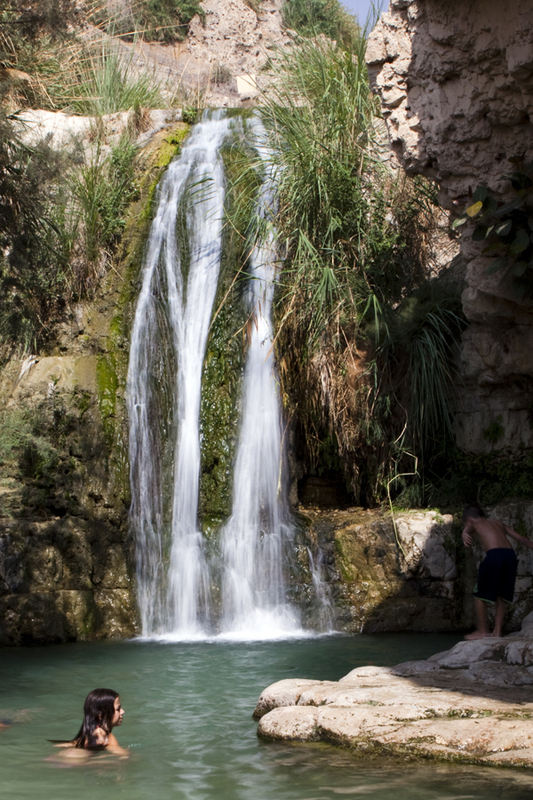 It changes from small scrub brush and desert trees, to lush greenery with the sound of flowing water in the background. 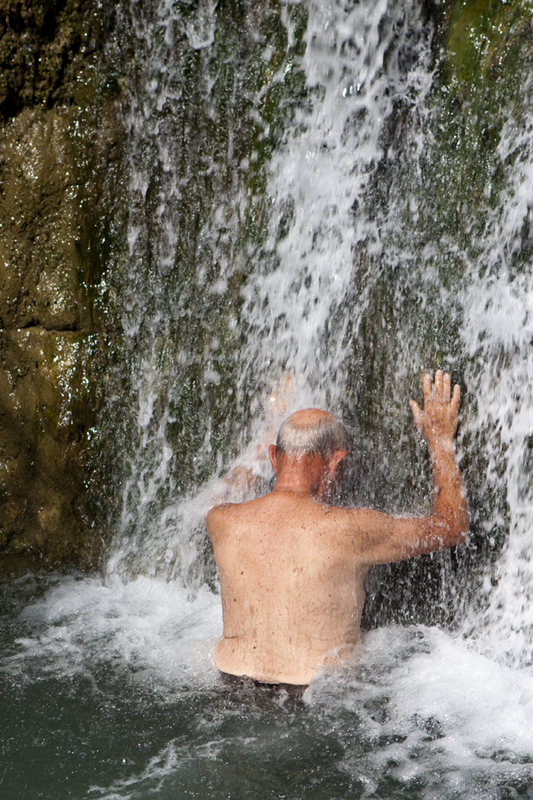 Then, all of a sudden, the pools and waterfalls of En Gedy come to view. 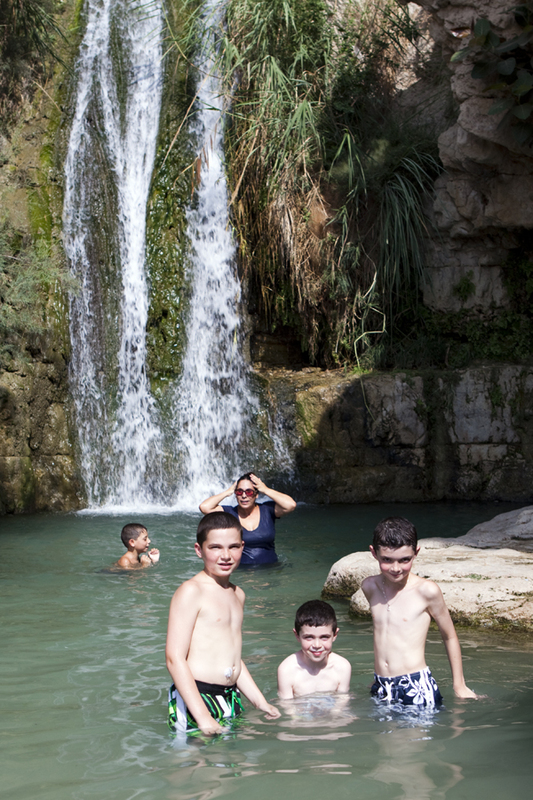 It was so hot that as soon as we arrived at the pools it too no time before we were all in the water…well, I waited just a few more moments so that I could get some photos. After about 30 minutes of swimming in the cold refreshing water, it was time to head back down so that we could make it to our next destination before the sun got to it high point. 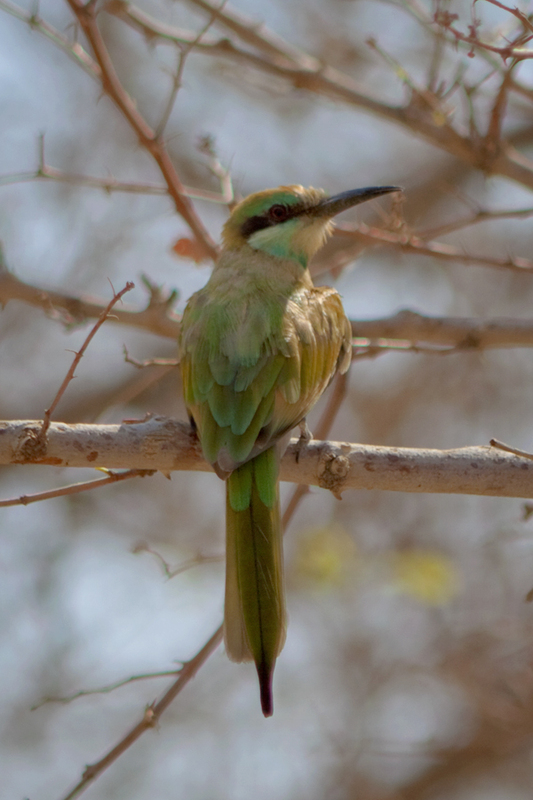 Along the way we ran into a brilliantly colored little bird called the Bee Eater. Being that my father-in-law is a huge bird enthusiast, I’ll post the shot I got of the little guy and hope that it lives up to the quality of his birding guide photo. 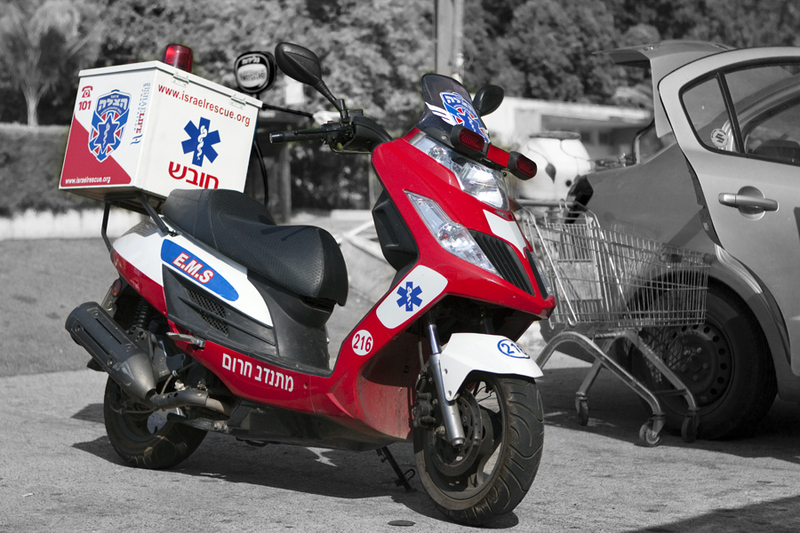 From En Gedy, it was off to Masada. If you want details about this amazing mountain you can click this link, as I am only going to write about a few things. 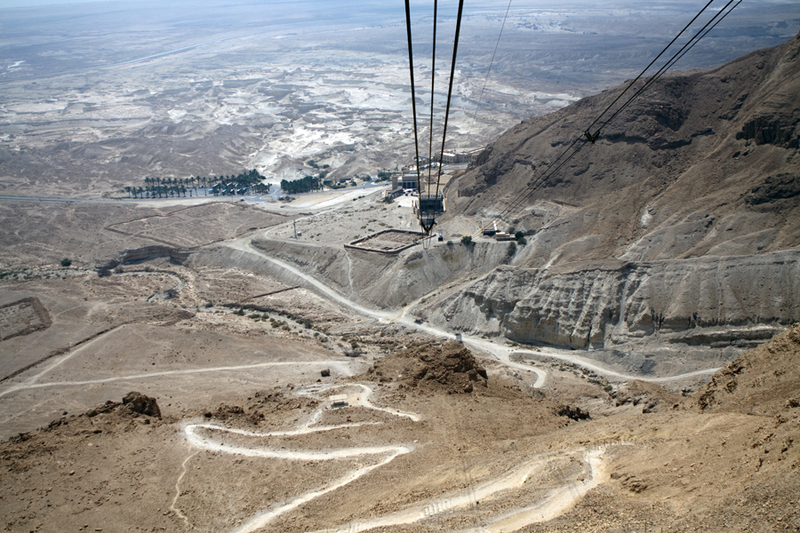 First, Masada is a huge, tall plateau that stands in the middle of the desert overlooking the dead sea. We took a cable car from the bottom to the top, and I would draw your attention to the bus parking lot to the left side of the cables in order to give you some scale. 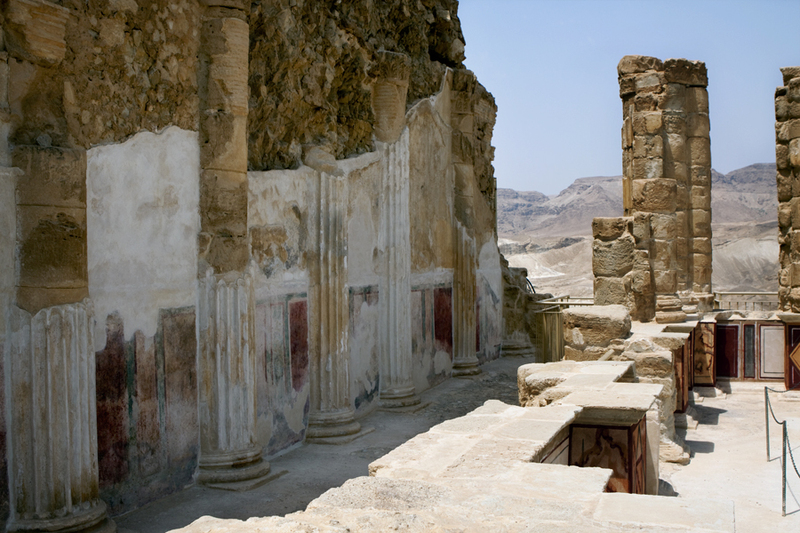 Masada was built in the first centery BC by King Herod the Great. 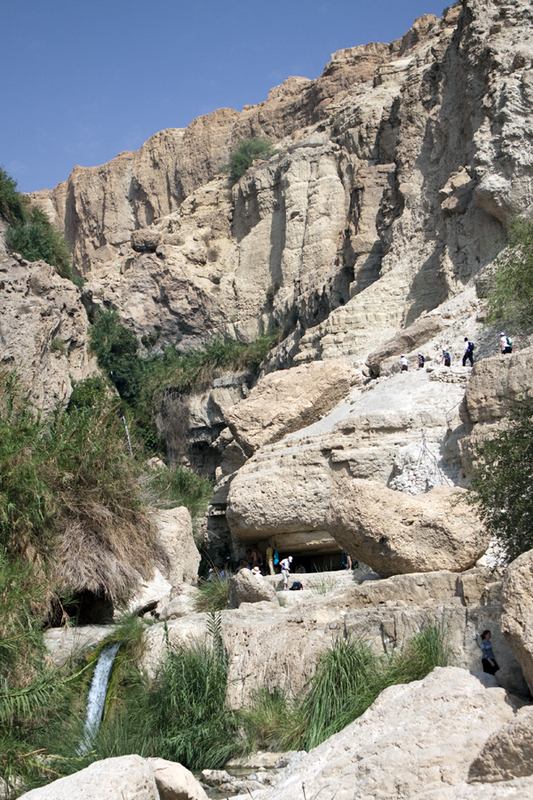 Initially, it was built as a Desert resort for the King and his entourage to visit in the winter. It doubled as a fortress overlooking the dead sea and into Jordanian Desert to the East. Fast forward to about 70 CE, and it was the location of the final siege by the Roman Army against a population of Jews who had revolted against the Emperor. These were Jews who remained faithful to their beliefs and would not subscribe to the Roman worship of the Emperor and the Idol gods. 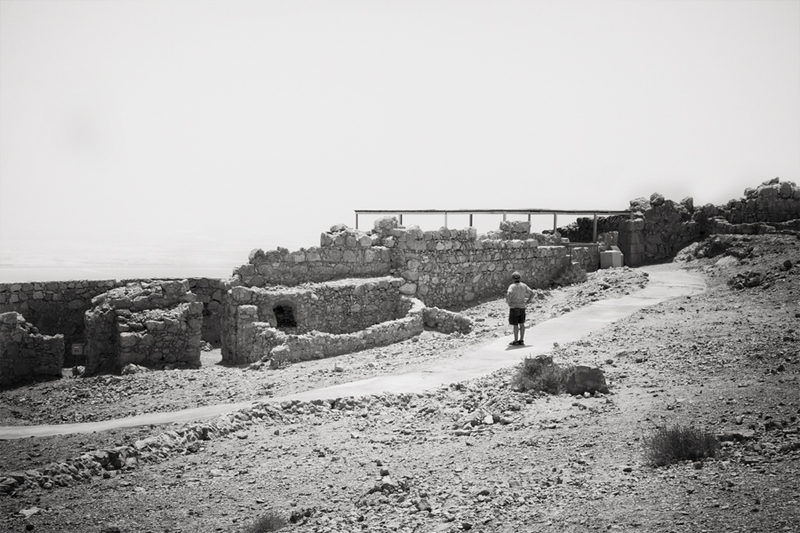 The Jewish rebels live on Mount Masada for three years until their story came to a tragic ending. Realizing that the Romans were about the take the fortress, and not wanting to surrender, the rebels decided to commit mass murder/suicide. The head of each family would be responsible for taking the lives of their wife and children. They then identified 1o men who would be responsible for killing the remaining men. They did this by drawing lots…the names of all the men were placed into a vessel and 10 of those names were drawn. Finally, the name of one man was drawn. He would be responsible for killing the last 10 and would then commit suicide. You may wonder how historians know this, if when the Romans finally entered, everyone was dead. Me too!! 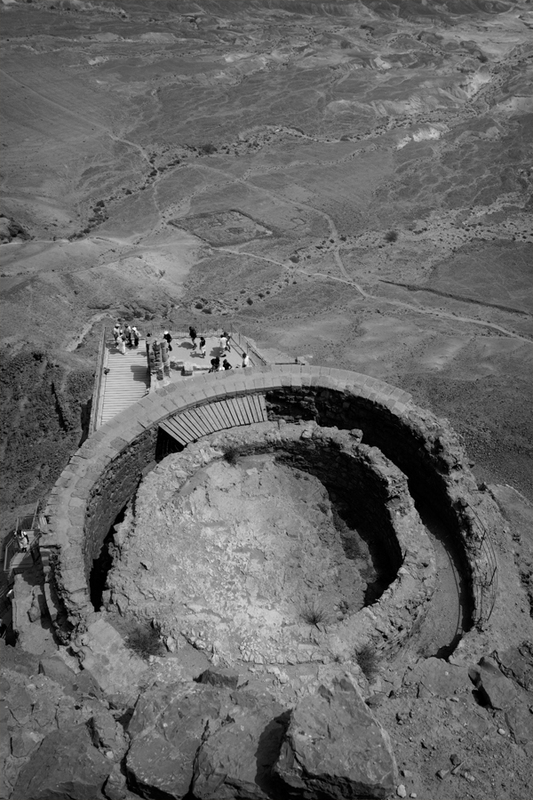 We were told that according to a Roman historian, there was one woman and her children who hid in the cisterns atop Masada and relayed this information to her captors. 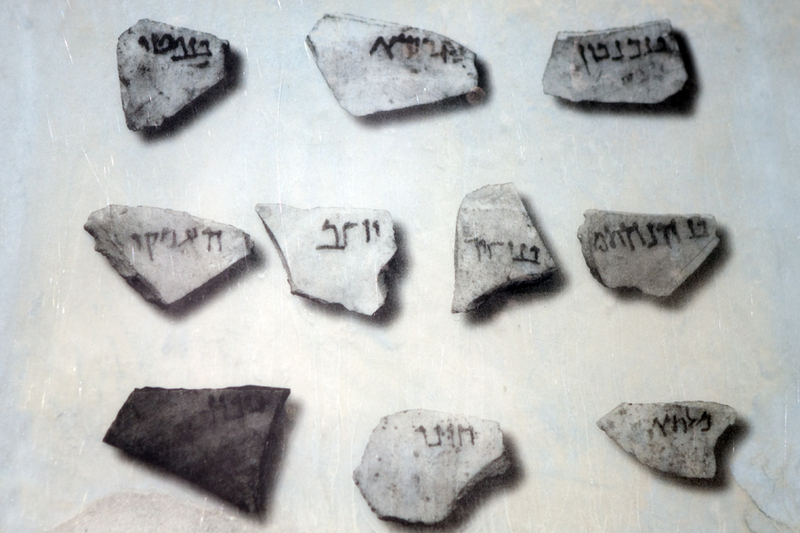 In addition, one of the most interesting finds on the mountain were the small chards of pottery with the names of men on them that were found in one location. This helps to corroborate the story that was told. This is a photo of a photo that is on display outside the room in which these were found. Anyway, once we started walking around the plateau, it was remarkable. The boys and Rachel walked with Yaniv, while Herb and I climbed down the steep (and kinda scary) stairs to the lower levels of the Herodean Palace. The views were spectacular and the ruins that have been preserved are simply astounding. I will point out that on Masada all of the ruins have a black line painted at the level that restoration took place. Everything below the line is original and everything above the line has been restored. Where there is no line, or it is too high to have made the photo, it is all original. Obviously having been cleaned, etc, but all you see in this image is as it was in the first century CE. Amazing!! As we walked back up from this lower palace, Herb described to me the several weeks that he and Adrianne spent here in 1963. They were among the volunteers who came to to assist with the excavation. He told me that Adrianne was working as they uncovered the rows of stadium style seats in the synagogue, believed to be among the oldest in Israel. He also told me that we was working along the outer walls on the east side of the mountain. Here is is overlooking the work that he did more than 40 years ago. 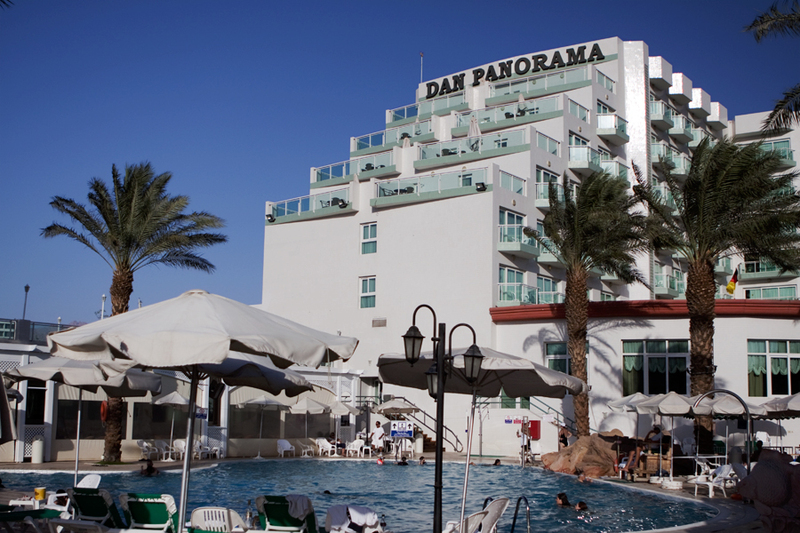 After completing our walk around Masada, we drove further south to En Bokek on the Dead Sea where we had lunch at one of the resorts and took advantage of their swimming pool and beach facilities. 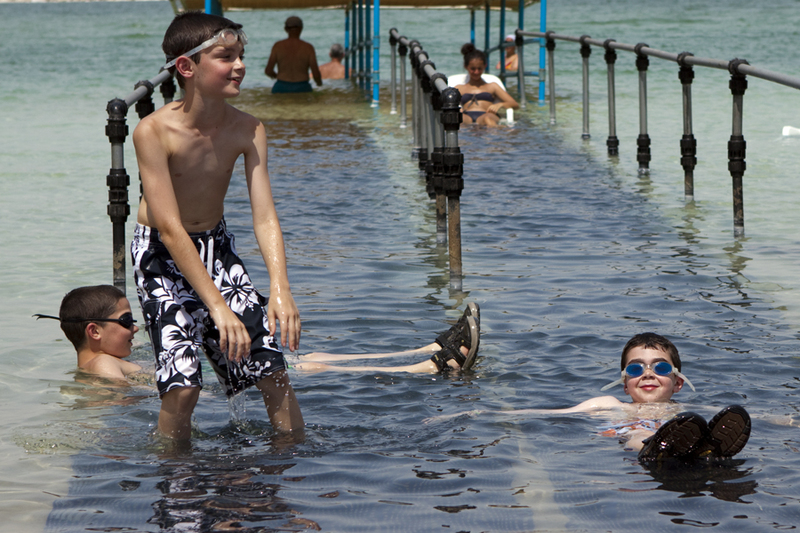 Okay, we swam and floated in the Dead Sea. It was hot…not the air temperature, the water. Hotter than I usually like for a bath never mind a natural body of water…HOT! It also left an odd feeling on your skin…almost slimy. We all did our requisite plunge up to the waist and then sitting into the water. It really was truly amazing how you just float. 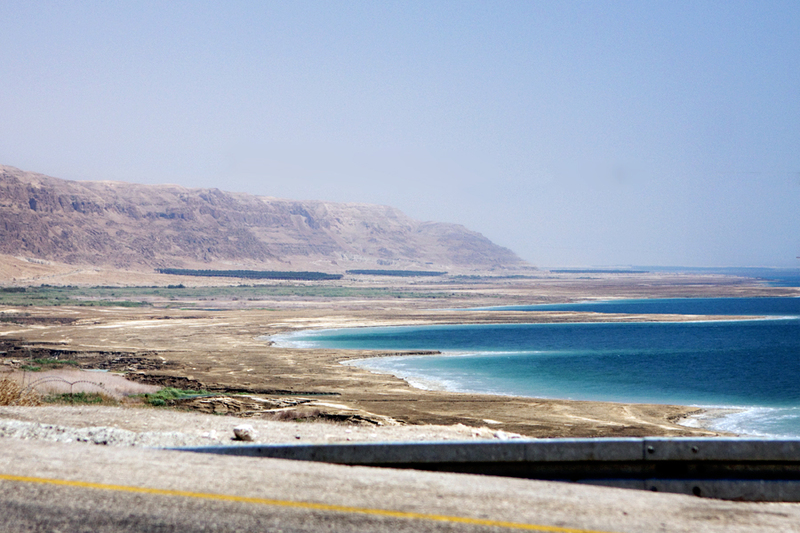 The salinity in the water continues to climb…through water from flash floods, etc the water level in the Dead Sea rises 6 feet per year. However, due to evaporation, etc the water level falls by 9 feet per year. Net loss of 3 feet per year…that’s huge. Anyway, it gets saltier and therefore people are more buoyant.